Wait a minute, didn't we just have a new year? 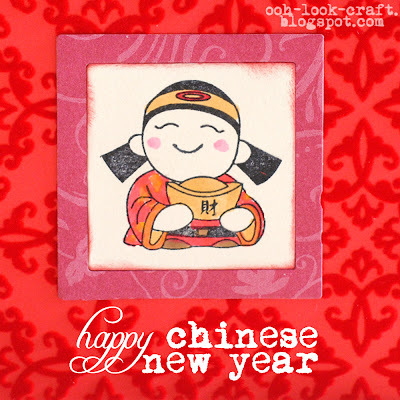 Oh, right, this is Chinese new year, which is based on a different (lunar) calendar. I love Chinese new year because, being single, I am the recipient of the lucky red envelopes that are (hopefully) filled with money. And I say this every year - it's a good reason to stay unmarried! So here are some cards to celebrate the new year. The cards highlight the cute prosperity boy stamp from Hero Arts that I just had to get as soon as I saw it. 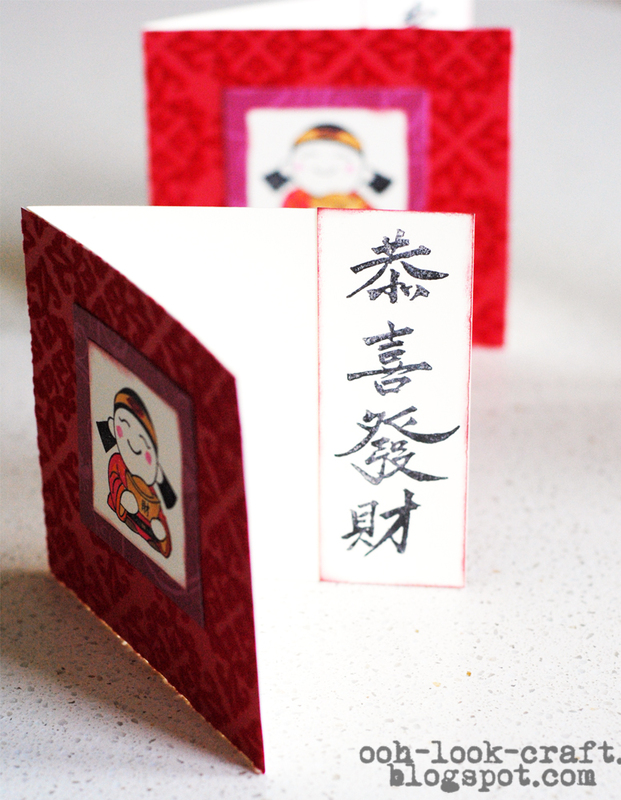 It is perfect for a happy, prosperous new year. 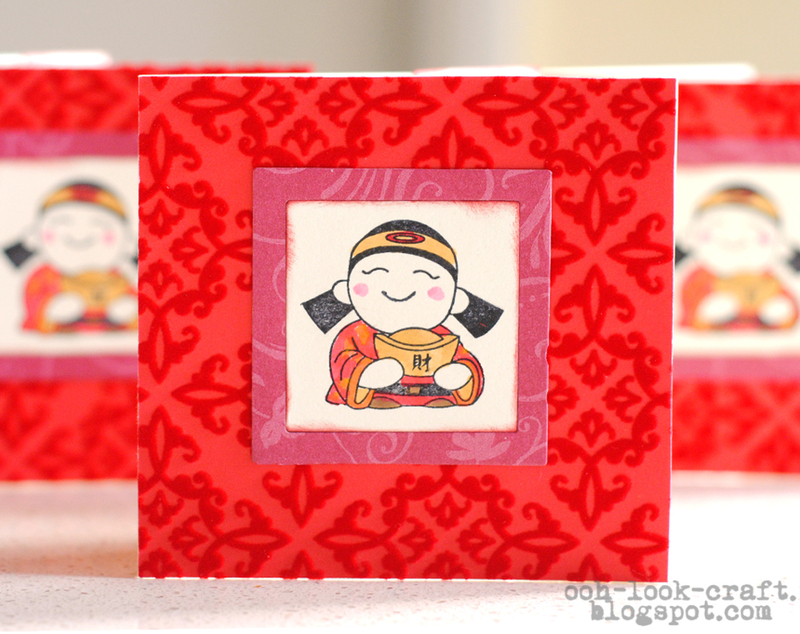 Cardstock: Vanilla from Stampin' Up! Omigod I love your craft blog!! Your cards are brilliant! I adore stationery & card making too! Can't sew or knit to save my life though..
Super darling card! Love this! I think I have this stamp but have never used it before! 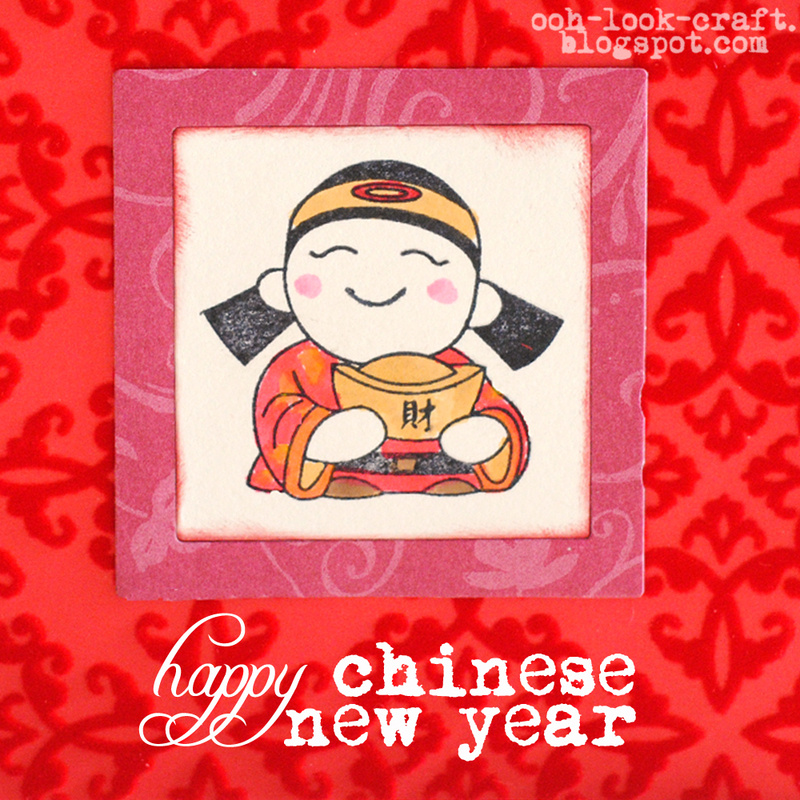 Wishing you a very Happy Chinese New Year too! HUGS! Fabulousness. As are some of those traditions. I HANKER for more tradition!